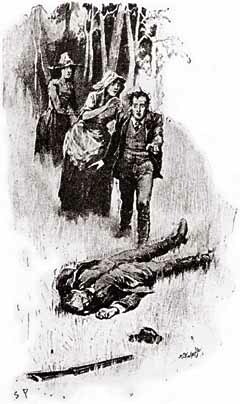 Reading the original Sherlock Holmes stories. The Boscombe Valley Mystery is a longer story, and one that takes our heroes out of London and into the wild. Facts of the case: Out in the countryside, a man is found dead after an argument with his son. All the circumstantial evidence points to the son, but it’s still circumstantial. Holmes and Watson hop a train and head north to investigate. Great detective: The hat!!! In the text, all Arthur Conan Doyle writes is that Holmes dons a “knitted cap” for the trip. Artist Sidney Paget — the Ditko to Doyle’s Stan Lee — drew this as the famous deerstalker cap, and history was made. 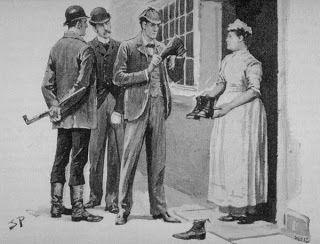 Love the hat or hate it, these illustrations continue to define how the world sees Sherlock Holmes. Good doctor: Watson talks to his wife about going out of town for a few days, and she’s all for it, saying a change of scenery will do him some good. Who’s at the door: Lestrade is back. Although he’s described as “ferret-like,” there’s little sense of his rivalry with Holmes. 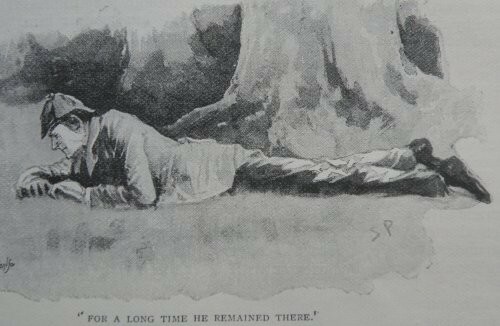 Yes this is canon: Holmes is described as smiling and laughing several times in this story. He really is on vacation. Action hero: When visiting the crime scene, Holmes is “transformed” and nothing like the quiet logician of Baker Street. He’s described as animal-like in his enthusiasm in hunting for clues. Indubitably: Despite its historic significance, this isn’t one of my favorites. 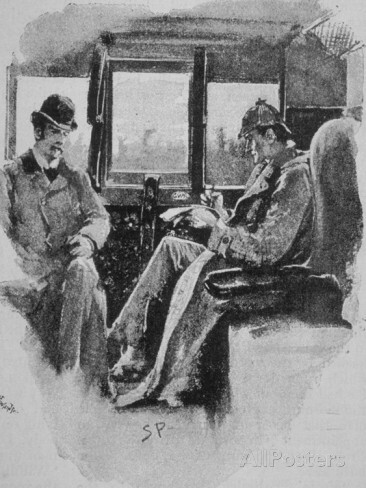 With the exception of the visit to the crime scene, most of this “road trip” story is Holmes and Watson sitting around the hotel room talking. This could have been Baker Street, with the murder in a neighboring back yard. Also, a key piece of information is something Holmes just happens to know off the top of his head, rather than him figuring it out. So, not the best.